Pro Silva Ireland’s next Forest Open day is in Baronscourt, Co. Tyrone, Friday 3 Oct 2014, with guest forester Phil Morgan. The focus of the day will be primarily in conifer woodland where a range of different treatments have been carried out. 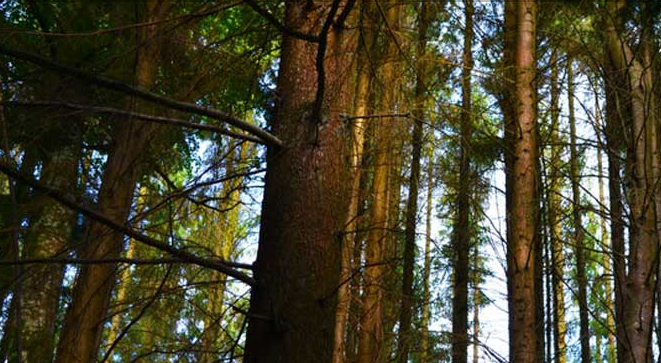 In September 2001 Baronscourt Estate started a management conversion of its forest to “Continuous Cover Forestry” (CCF). The aim of this conversion is to enhance the stability within the forest structure from wind, soil erosion, and climate mitigation. Also that a multi-age (uneven) and multi-specie forest structure has significant economic, environmental, and social benefits in comparison to standard plantation forestry. In 2003 the Estate was awarded the prestigious Royal Forestry Society’s ‘Duke of Cornwall’s Award’ for their efforts toward forestry and conservation management. Tending in Birch natural regeneration. Current ProSilva Europe president Phil Morgan is a regular visitor, consultant and advisor to the Irish forest sector. He is a past chair of ProSilva Great Britain (CCFG) and also translated the AFI handbook on continuous cover management. Phil now combines consultancy work and the management of woodlands in Wales through his own company Sustainable Forest Management and through a trading co-operative called SelectFor. He is a specialist in continuous cover forest management and close to nature forestry. ALL WELCOME Foresters, farmers, small and large woodland owners, forestry students welcome. Please bring your own packed lunch, wet weather clothing and boots. A €20 donation is appreciated to cover the cost of the visiting Pro Silva Europe forester.